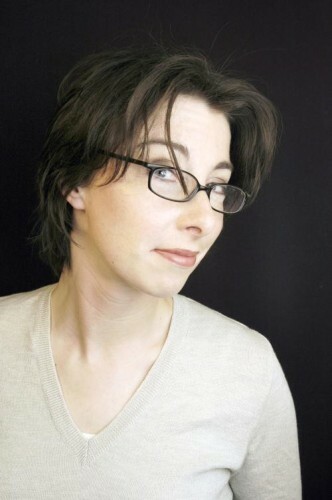 Sunday 10 March: Sandi Toksvig is in charge of Mirth Control at the Southbank Centre, with Fascinating Aida and the utterly brilliant Sue Perkins (pictured; have you been watching Heading Out? Isn't it wonderful?) for a night of comedy and music (7.30pm, £40-£10). Monday 11 March: Andrew Lawrence deserves to be better known. Make a start on that at the Soho Theatre where he'll be until 30 March (9.30pm, £10-£17.50). Tuesday 12 March: Michael Legge continues in his quest to give himself a stroke through sheer, bulging rage at the Comedy Cafe Theatre in Shoreditch (7.45pm, £8). Wednesday 13 March: With a night calling itself Decapitated Puppy Comedy Night it's a fair bet you're not going to be treated to whimsical sets about cupcakes. Go to the Intrepid Fox for dark and rude comedy from David Trent, Carrie Ann Oddling, Daryl Golden, Bobby Carroll and Tyson Boyce (8.30pm, £6 / £4). Thursday 14 March: It would probably be easier if you bookmark Invisible Dot and keep checking the listings, as they continuously come up with brilliant line-ups and inventive shows. Tonight it's a showcase from up-and-comers Daniel Simonsen, Sheeps, Two Episodes of Mash (Diane Morgan, aka Philomena Cunk from Weekly Wipe, and Joe Wilkinson from Him and Her), Alice Lowe, Oscar Jenkyn-Jones, Ellie White and Tom Basden (7.45pm, £8). Friday 15 March: This is your chance to see people off t'telly in a small club: Ardal O'Hanlon and Shappi Khorsandi are at Headliners in Chiswick, along with Topping and Butch and Simon Bligh (9pm, £12 / £10). Saturday 16 March: Zoe Lyons is at the Soho Theatre with her current show Pop Up Comic. Expect caustic and clever gags (9.15pm, £15 / £12.50).